The automatic delivery option creates a zip file of your entire event's gallery and emails the link to your client. 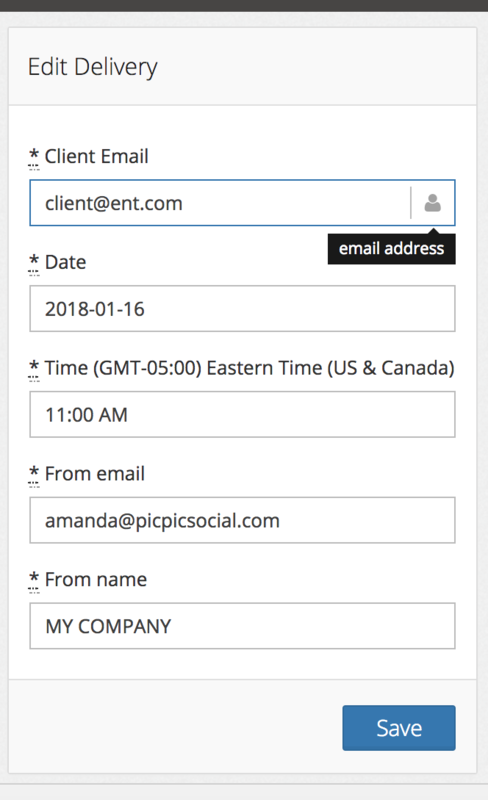 Fill in the delivery settings with your clients information as well as the date and time you want it to be sent. *Please note delivery can be received within 10-15 minutes of the desired delivery time!